Fill your glass with ice. Add tequila. Fill glass 1/4 full with Jalapeño Limeade. Juice lime in glass. 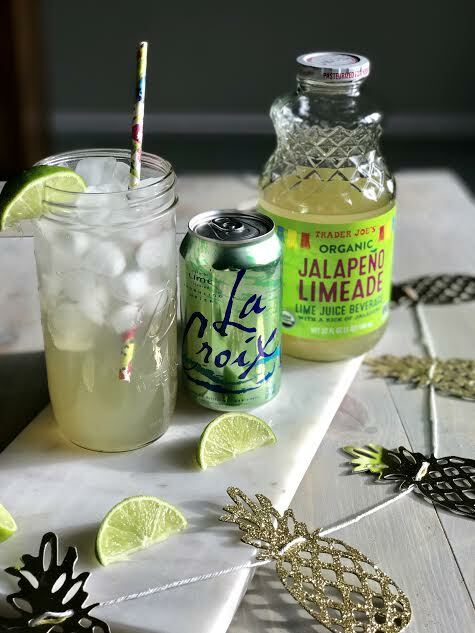 Fill the rest of the glass with Lime Lacroix. Stir. Top it with a cute straw!